In the blog Muehlenkamp mangles mass cremation calculations, Jansson continues his somewhat-less-than-relevant error nitpicking, which will be commented in this blog. Regarding example a), Jansson claims that it can be ignored, as I did not "bother to give any figures here". The figures that Jansson claims to be missing are in the respective footnote, which Jansson cannot possibly have missed because it starts on page 461 and covers a sizable part of the critique’s page 462. Moreover he referred in his previous blog (discussed in the first part of this series) to the e-mail I received from the sales manager of Air Burners LLC in Florida, also mentioned in that footnote, which he abundantly discussed (arguing that the sales manager must have overstated the performance of his company’s products when he mentioned a fuel to body mass ratio of 1:1), as if it were my only source (which, as the reference to the Texas Animal Health Commission’s January 2005 General Guidelines for the Disposal of Carcasses regarding fuel to body mass ratios shows, is not the case). Below I reproduce the footnote in question, highlighting the information that Jansson falsely claims I didn’t "bother" to provide. Local availability will govern the type, quality and amount of various fuels used. Experience has demonstrated that carcases can be completely consumed using dry wood alone at the rate of 1.5 tonnes for a 500 kg adult bovine or 1.5 tonnes of coal briquettes or equivalent combinations. For multiple carcases, the amount of fuel may be reduced to 1.0 tonne per adult bovine because of economies of scale. Straw and liquid fuel are required to start the burn. For fuel estimation, one adult cattle carcase is equivalent to four adult pigs or shorn sheep, or three woolly adult sheep. The fuel to body mass ratio for burning multiple bovine carcasses according to the above is 1,000 kg of wood for a 500 kg bovine carcass, or 2:1. This is not very much above the ratio of 1.84 to 1 that I calculated (albeit for the cremation of an individual carcass) based on an FAO source using information from the AUSVETPLAN’s 2nd edition. However, Jansson claims that these figures, and the corresponding amounts of wood per head swine or sheep (250 kg) "offer very strong support to revisionist contentions on fuel requirements" and "contradict Muehlenkamp’s assumptions (such as that pigs are self cremating) dramatically". 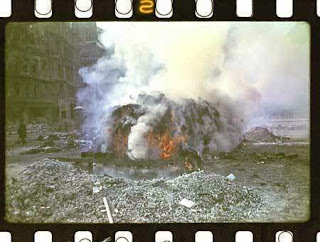 The "pigs are self cremating" is a straw-man of Jansson’s discussed in this blog. As to the quoted information from the AUSVETPLAN’s 3rd edition providing "strong support" to "Revisionist" contentions about fuel requirements, a fuel to body mass ratio of 2:1 for bovine carcasses is much closer to the ratio I had calculated than to the ratio of 3.5:1 claimed by Mattogno. Whether the ratio for pigs and sheep is more favorable to "Revisionist" contentions depends on the weight of each such animal considered by the AUSVETPLAN's authors. The source doesn’t state what weights are considered per head of sheep or pig, but the relatively high weight considered per bovine carcass (500 kg, vs. e.g. 373 kg in the 2001 paper Foot and Mouth Disease Epidemic. Disposal of culled stock by burial: guidance and reference data for the protection of controlled waters) suggests that the AUSVETPLAN's authors also had comparatively high weights for sheep and pigs in mind. Regarding pigs: According to this page, the weight of a butcher hog is approximately 100 kg but "In some market (Italy) the final weight of butcher pig is in the 180 kg (400 lb) range". There are breeds of pigs whose mature weight exceeds 100 kg, e.g. the Welsh pig, the Tamworth pig, the Nero Siciliano, the Mulefoot, the Mora Romagnola, the Large Black pig, the Hereford pig, the Gloucestershire Old Spots. The mature weight of some of these breeds is even considerably higher than 100 kg. See also this list of pig weights and this one. The latter mentions a mature weight of 450-650 lbs (204-295 kg) for sows and 500-750 lbs (227-340 kg) for boars of the Yorkshire pig breed, which according to Encyclopaedia Britannica is probably the most widely distributed breed of pig in the world, the Australian Yorkshire (about which I found no weight data) being the dominant pig of Australia. It stands to reason that the authors of the AUSVETPLAN considered on the one hand the possibility of pig weights above or well above 100 kg, while on the other hand the higher fat content of pigs would make them easier to cremate and thus even out the impact of considerably higher weights to a certain extent. Therefore, it doesn’t seem far-fetched to assume that they considered an average weight of 125 kg per head of pig, as equaling one 500 kg bovine to 4 pigs regarding fuel requirements suggests. Regarding sheep: There are breeds in which at least the male animal can reach a mature weight above 100 kg, e.g. Aussiedown, Border Leicester, Charollais, Dorset Horn, Hampshire, Lincoln, Ramboiullet, Suffolk. Mature weights of these breeds are not as highly in excess of 100 kg as in some of the heavier breeds of pigs mentioned above, but on the other hand the fat content is probably lower than in these pigs. All in all, considering an average mature weight of 125 kg per head for the purpose of estimating fuel requirements also seems appropriate in sheep. The conclusion from the above is that the AUSVETPLAN’s 3rd edition doesn’t get "Revisionism" much further than the 2nd as concerns carcass weights. More important than the above considerations, however, is the question to what extent present-day guidelines about fuel requirements in burning carcasses can be used as a marker of required fuel expenditure at the AR camps or at Dresden. Jansson argues that the fuel consumption calculations I derived from a source based on the AUSVETPLAN’s 2nd edition are unusable because they are based on "outdated information". He postulates that the difference in fuel data between the 2nd and the 3rd edition are due to experience gained in mass cremation during the 2001 FMD epidemic in the UK. Such experience was certainly an important factor, but was it the only factor that influenced the changes made in the 3rd edition? Trying to gauge fuel requirements at the AR camps and at Dresden from recent cases of carcass mass incineration is based on two assumptions, one of which is obviously wrong while the other is at least questionable. The wrong assumption is that mass cremation in all cases pursued the same objectives. At the AR camps the purpose was to destroy the physical evidence to a massive crime, at least to such an extent as to make it impossible to establish the scale of the crime on the basis of the remaining physical evidence. To some extent the cremations, namely those carried out at Sobibór in the second phase of the camp’s operation and those carried out at Bełżec and Treblinka prior to the general exhumation and cremation of the previously buried corpses, also served as sanitary purpose, but that was subordinate to the aforementioned purpose of destroying the evidence to a mass crime. At Dresden the purpose was clearly sanitary, in the sense that the bodies were cremated, given the impossibility of burying them in due time due to a lack of suitable transportation vehicles to take them to the cemetery, in order to keep them from decomposing and the decomposition to cause epidemics. The primary objective of disposal of carcases, animal products, materials and wastes is to prevent the dissemination of infection. This process is therefore an essential part of an animal disease eradication program. Disposal should be completed as soon as possible after destruction to minimise opportunities for infectious material to disperse. Accordingly the methods chosen, as pointed out on page 10 of the AUSVETPLAN’s 3rd edition, must prevent the dissemination of the infection. Where the chosen body disposal method is cremation, this purpose can only be served if the fire achieves what it must achieve according to the instructions for burning on AVP3 page 28: "the hottest fire and efficient combustion" and on the following page: "complete combustion". Only by complete combustion, in the hottest fire achievable in an open pyre, can the disease agent be eliminated as a threat to other animals. Accordingly one of the factors to be taken into account before deciding on burning as the body disposal option is whether the pyres as constructed are going to ensure "100 % kill of the disease agent" (APV3 page 54). In at least ten of the 33 graves discovered by excavations in the late 1990s, not only ashes but also mummified remains were found. Thus a larger number of corpses had not been completely burned. Possibly the camp staff proceeded too superficially, overlooked sabotage acts of the working detachments, or this work was unpleasant even to the men who had become inured to death. Thus Gley in 1963, during the investigation procedure regarding Belzec, described the work as "a process so abominable humanly, esthetically and in what concerns the smell, that the fantasy of people who today are used to live under civil conditions probably is not sufficient to imagine this horror". Maybe the sense of the operation – hygienic considerations aside – was also not clear to the men. 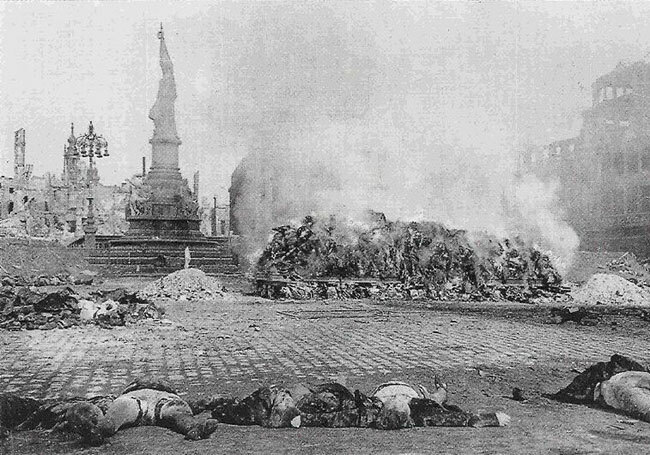 While there were doubts about the Third Reich’s superiority and victory after the defeat at Stalingrad, it was more than questionable whether the murder of millions of Jews, in which thousands of perpetrators had participated and which large parts of the population were informed about, could even be concealed by burning the corpses. The fact alone that corpses were being burned in Belzec was widely known: the flames could be seen as far as far as Tomaszów Lubelski and Rawa Ruska, and the mordant smoke went over the villages. So why bother about achieving a most thorough cremation, also considering that incompletely consumed remains could be crushed with spades, hammers, logs or in special crushing devices by a workforce of slave laborers that could be made as large as the purpose required? The SS-men would do just as much as was necessary to satisfy their superiors, who in turn cannot have reasonably expected to destroy all physical evidence of the crime by cremating the bodies. All they could reasonably hope for was to achieve a degree of destruction that would make it impossible to establish the number of victims on hand of the physical remains, and to avoid being confronted with reports about and photos and footage of piles of decomposing or decomposed bodies inside mass graves. It stands to reason that, if corpse cremation at the AR camps needed not be as thorough as carcass cremation according to guidelines like the AVP, the amount of fuel required to achieve the comparatively lesser results would also be smaller. The other assumption, in trying to gauge fuel requirements at the AR camps and at Dresden from recent cases of carcass mass incineration, is that guidelines about the amount of fuel required in carcass cremation are only guided by considerations of fuel efficiency besides the likeliness of achieving the desired result, i.e. that the types and amounts recommended are the minimum required to achieve a complete combustion that ensures "100 % kill of the disease agent". While rapid disposal is of primary importance, it must be undertaken in a way that does not increase the risk of spread of the disease or adversely affect the environment or the community. Care needs to be taken to classify all waste according to its potential infectivity and then to dispose of it according to local legislative requirements. This manual provides a decision-making framework that allows decisions on disposal methods to be weighted in the light of current legislation, operator safety, community concern, international acceptance, transport availability, industry standards, local environment, cost-effectiveness and speed of resolution. The approach allows logical, defensible and transparent disposal of waste products from an animal health emergency. • What are the direction and speed of the prevailing winds and other likely winds? What options are available if wind direction changes? • Are the current weather and weather forecast in the area of disposal favourable for pit/pyre construction and/or burning purposes? • What fuels are available, and of what quality and quantity? Efforts need to be made to minimise emissions and air pollution. • What care has been taken in construction to ensure that run-off from the site does not cause pollution of waters or site contamination? • Is the site close to an environmentally sensitive area, such as a wilderness area, a declared area or a bird nesting area? • Is the site under any international or domestic flight paths? Is the smoke generated by the fire likely to be an aviation hazard? • Are the pyres as constructed going to ensure 100% kill of the disease agent? • Is there a fire ban or no burn day current? • What arrangements have been made for disposal of ash? Is there a risk of leaching? • Have the personnel constructing the pyre, pit etc been trained in their construction to maximise the efficiency of the burn? • What prevention measures have been put in place to ensure that run-off to environmentally sensitive areas (including groundwater) will not occur? • What measures have been taken to ensure that smoke from the fire is minimized and burning is efficient? • What air-quality monitoring is proposed? • In the case of pits, what site remediation is planned? • incomplete combustion is possible (eg when materials are too wet to burn). The main environmental consideration possibly influencing the amount and type of fuel recommended is smoke pollution, which is related to both the amount and the type of smoke generated. Efficiently burning pyres will generate less smoke than inefficiently burning ones, and avoid the black smoke that characterizes incomplete combustion and can be seen in this video, in which the carcass seems to be nevertheless destroyed to such an extent that some subsequent laborious crushing could reduce it to something that one could call "ash". To be sure, the carcass is obviously dried out and this helps the combustion process greatly, but the apparently very small amount of external fuel used (just some gasoline or other inflammable liquid poured over the carcass) is worth noting. Needless to say, the SS at Bełżec, Sobibór and Treblinka didn’t have to care about the amount of smoke generated, about whether the smoke was white or black, about air pollution or about health hazards resulting from the smoke to the surrounding Polish populations. So if the amount of external fuel they used was insufficient to ensure a cremation efficient enough to avoid a huge quantity of smoke and/or the smoke’s being black smoke, what did it matter to them? As already mentioned in the previous blog of this series, there is evidence that cremation on the pyres at Bełżec and Treblinka was not exactly complete. Such evidence (the discovery of considerable quantities of bones and other human remains larger than cremation remains that could be called "ashes") is also mentioned in the reports about crime site investigations and archaeological research quoted or referred to on pp. 383 to 400 of the critique and in the blog Mattogno, Graf & Kues on the Aktion Reinhard(t) Mass Graves (1). The results of cremation at Treblinka, according to Sara Berger (EdV, p. 213), included large bones so incompletely burned that they had to be placed on the rosters once again together with the next load of corpses, whereas smaller bones were beaten and ground to smaller parts – supposedly as fine as powder, but the physical evidence found on site shows that this was often not so) with spades and other tools. Such insufficient cremation results were hardly what the authors of the AVP3 had in mind when writing down their recommendations about fuel requirements. What is more, these authors probably wanted to be on the safe site as concerns fuel requirements recommendations. Aware that their work was likely to be criticized if their recommendations did not yield the desired results of complete combustion destroying all pathogens and/or if pyres built according to their recommendations caused environmental impacts (especially smoke pollution) in contravention of environmental and legal requirements, they are thus likely to have stated fuel requirements on the high rather than on the low side. The conclusion from the above is that Jansson’s using data from or recommendations related to recent cases of carcass cremation to establish the AR camps’ cremation fuel requirements is basically flawed. It also means that it is by no means a given that older data about mass cremation fuel requirements are "outdated" and must be discarded in favor of more recent data. On the contrary: if disease prevention as well as environmental and legal requirements and constraints regarding open air pyres have become more stringent between the 2nd and the 3rd edition of the AVP, the fuel recommendations in the previous edition are likely to be closer to the situation at the AR camps than the latter. This applies all the more to cremation experiences at or prior to the time in which these camps operated, namely the experiments of Lothes & Profé, whose low fuel to body mass ratios (noted at the time also outside Germany, namely in the Eighth Annual Report of the Pennsylvania Department of Agriculture. Part I. 1902. WM Stanley Ray, State Printer of Pennsylvania. 1903, which quotes an article highlighting the "wonderfully little expenditure of fuel" in Lothes & Profé’s experiments), while certainly related to the efficiency of the method applied (burning on a grate over a fire in a pit) may in part also have been due to contemporary requirements and constraints as concerns the thoroughness of combustion and environmental issues being less stringent than present-day requirements and constraints. Besides the similarity of methods between Lothes & Profé's experiments and the AR pyres, this is another reason to prefer these experiments as an indication of AR fuel requirements over more recent carcass cremation experiments. Jansson ends this section of his blog by accusing me of having deliberately ignored the AVP3. This is a rather imbecilic accusation; fact is that I simply wasn’t aware of either the AVP3 or its predecessor, otherwise I would have referred at least to the latter instead of a source based on the latter. Contrary to what Jansson claims, the AVP3 information is not at all inconvenient to my argument, as demonstrated above, independently of my subsequent considerations about the limited applicability of information from this source to the AR pyres. The source even expressly mentions something that I hypothesized but had found no evidence for, namely that in multiple cremation economies of scale reduce the amount of fuel required on a per-mass-unit basis. On account of this evidence alone (shall we consider economies of scale in mass cremation according to Lothes & Profé’s method, Mr. Jansson?) I would have been delighted to use the AVP3 information, had I been aware of it. This, of course, presupposes that I have an inclination to omit sources inconvenient to my argument, which I don’t. On the other hand, omitting inconvenient sources is something Jansson will readily do, as he most recently demonstrated by failing to mention Ellgering’s report about the cremations on the Dresden Altmarkt (because it contained the detail, inconvenient to Jansson’s argument, that the corpses were drenched in gasoline before a pyre was lit), even though he was not only aware of this source but had, as he bragged, even read it in the document collection in which it was originally published (details see here). The above conclusions about the basic fallacy of Jansson’s approach (which also became Mattogno’s after he realized that he couldn’t argue on the basis of his backyard beef burning experiments alone) mean that Jansson’s other arguments in the blog here discussed are even less relevant than they would be anyway, at least those regarding carcass cremation. I shall nevertheless address them in the next, and hopefully last, blog of this series. Stay tuned. This blog has led to yet another of Jansson's hysterical knee-jerk reactions, with the title Another bumper crop from the Muehlenkamp error farm. It will be my pleasure to put this showpiece of imbecilic hollering in its proper place later this day, before finishing the third installment of this series. But now it's past midnight, and I have more interesting things to do. In his aforementioned hysterical hollering, Jansson does me the favor of again exemplifying the essential dilemma of "Revisionism" that is the subject of this blog series: without a case of their own to present let alone evidence to support such case, "Revisionists" are reduced to endless and equally pointless exercises of what I call error nitpicking. Jansson tries to put on a bright face as he introduces yet another such pointless exercise with the usual pep talk that goes down with his fellow true believers like lukewarm sewing-machine oil, whereas I’m singularly unimpressed. Apparently Jansson hasn’t understood yet that my approach to the mass burial and mass cremation subjects, as an amateur in both fields, is a trial-and-error approach, and that (unlike hysterics of the Adolf and Jansson variety, aptly characterized by Peter Bamm) I have no problem at all with errors of mine being pointed out, but rather welcome such criticism (if pertinent) as an opportunity to learn more and understand better the issues at hand. If Jansson wants to continue making a fool of himself by blustering about my oh-so-outrageous actual or supposed errors, and showing by his apparent foaming-at-the-mouth rage (if he were so sure about the superiority of his arguments, wouldn’t he be cool as a cucumber?) that he’s trying to conceal his overall argumentative problems (namely his inability to answer the questions he should be able to answer if "Revisionism" is to be seen as more than hollow humbug, but prefers to turn his back on, e.g. the questions referred to at the beginning of this series’ previous installment), that’s fine with me. After the introductory pep-talk, Jansson produces what seems to be his only argument against this series’ previous installment, as he derisively refers to my "previous argument that information derived from a sales manager about the product he sells is obviously totally reliable" (read: my demonstration that my sources for the fuel to body mass ratios I mentioned in the footnote of my example a), the Texas Animal Health Commission’s General Guidelines for the Disposal of Carcasses dated January 2005, are not limited to information from the sales manager of a company that manufactures air curtain incineration equipment, but also include, even as the main sources that the sales manager’s information merely serves to corroborate, public entities that can be assumed to have no commercial interest in the information provided). After this sad performance, Jansson lamely tries to explain away his mendacious omission of the aforementioned footnote, by belatedly referring to his "air curtain incineration is not the same as open air burning" (what, really?) arguments discussed in this series’ first installment. Then he comes to my oh-so-outrageous errors in this blog. In this respect, Jansson has a point in that I wrongly assumed 500 kg to be a comparatively high weight for a mature bovine, rather than an average weight for such animal. But that’s about where his arguments cease to be pertinent. Jansson points out that when considering adults, "the authorities during the 2001 UK FMD epidemic used the figures 500/100/50 kg for the weights of cows/pigs/sheep". He doesn’t tell in what context and for what purpose, but he’s obviously arguing that the AUSVETPLAN’s authors also had these weights in mind when equating a mature bovine to four swine or four sheep for the purpose of calculating fuel requirements. That this assumption doesn’t necessarily hold true for swine is suggested by the already mentioned paper Foot & Mouth Disease Epidemic. Disposal of culled stock by burial: Guidance and Reference Data for the protection of controlled waters, which in Table 4.1: "Estimate of make up of herds, age and weights" mentions the following adult weights: bovine cattle, 450-650 kg for dairy cattle, 500 kg for below 30 months beef cattle; sheep, 65-80 kg; pigs, 150 kg for "breeding stock", 130-225 kg for "sow and piglets". Additionally, there is no reason why burning four 100-kg pigs, with a total weight of 400 kg, should require as much wood or other fuel as burning one 500 kg bovine carcass. On the contrary, one would expect pigs to require less additional fuel per body mass unit than bovine cattle, on account of their higher relative fat content. Jansson accordingly has not explanation for what he, in his blog Muehlenkamp mangles mass cremation calculations, lamely calls an "interesting phenomenon" and an intriguing "fact". A reasonable explanation for what Jansson calls an "interesting phenomenon" is that it’s no phenomenon at all, that the AUSVETPLAN’s authors, when equating one 500 kg bovine carcass to four swine carcasses, were factoring in the possibility of some swine carcasses weighing more, or even considerably more, than 100 kg apiece, and that they accordingly chose to be careful in their equations, reckoning that criticism against their recommendations was more likely if they recommended too little fuel to assure complete combustion in compliance with environmental and legal requirements than if they recommended fuel in excess of what was necessary. As concerns sheep, this reasoning of the AUSVETPLAN’s authors is even more likely, unless one is to believe that, despite their also presumably higher fat content (judging by Jansson’s rambling about the high fat content of sheep), cremating 200 kg of sheep carcass (or 260 – 320 kg, if we take the figures from Young, Marshland and Smith’s Table 4.1) requires the same amount of fuel as cremating 500 kg of bovine carcass. Why on earth should the cremation of sheep require, on a per-mass-unit basis, 2.5 times as much fuel (or 1.6 – 1.9 times as many, if we take the figures from Young, Marshland and Smith’s Table 4.1) as the cremation of bovine cattle? This makes no sense whatsoever, unless Jansson can produce an evidence-backed explanation instead of his hollow blather about an "interesting phenomenon" and an intriguing "fact". Until Jansson provides such explanation, it is more reasonable to assume that the AUSVETPLAN’s authors factored in the possibility of heavier mature specimens from certain breeds of sheep, and that, just like regarding swine, they preferred to err on the side of caution, i.e. to recommend amounts of fuel that would be too high in the majority of cases rather than amounts of fuel that might be too low in one or the other particular case. Without revealing what point he is trying to make thereby, Jansson contends that a sheep of the breeds Hampshire ("Mature rams should weigh 300 pounds or more and mature ewes should weigh 200 pounds or more in breeding condition", according to this page), Rambouillet (whose size, according to this page, was greater than that of the breeds crossed to obtain it, "with full-grown ewes weighing up to 200 pounds and rams up to 300 pounds, live weight") and Suffolk (whose mature weights, according to this page, "range from 250 to 350 lb (110 to 160 kg)" for rams while ewe weights "vary from 180 to 350 lb (80 to 160 kg)") would have "enormous levels of body fat" if weighing 125 kg. In support of this contention, he presents a table showing the increase in body fat, for breeds including these three, for weights reaching from 20 to 60 kg. The table shows that fat content increases with weight, but it also shows that the increase is more dramatic between 20 and 30 kg and then becomes less marked. For the Rambouillet and Columbia breeds, the increase is 500.00% (from 0.9 to 5.4 kg) between 20 and 30 kg total weight, 92.59% (from 5.4 kg to 10.4 kg) between 30 and 40 kg, 52.88% (from 10.4 to 15.9 kg) between 40 and 50 kg, and 37.11% (from 15.9 kg to 21.8 kg) between 50 and 60 kg. For the Suffolk breed, the corresponding relations are 165%, 71.70%, 45.05% and 34.09%. For the Hampshire breed, they are 180.95%, 74.58%, 46.60% and 33.77%. So while the amount of fat grows with weight, the trend is clearly descending, i.e. the degree of increase is considerably lower at higher weights (especially between 50 and 60 kg) than at lower weights (especially between 20 and 30 kg). Considering this descending trend in fat increase, just how "enormous" could the fat content of a fully matured animal in either of these breeds (note that, while my above sources refer to maximum weights for the Rambouillet, the breeding/mature weights or weight ranges given for the Suffolk and the Hampshire seem to be considered normal) be expected to be? I don’t know the answer, but the descending trend in fat weight increase suggests that it would not be as "enormous" as Jansson wants it to be. Jansson’s sheep weight exercise ends with a straw-man (I’m supposed to have claimed an "average weight of 125 kg for sheep", as opposed to a weight that the AUSVETPLAN’s authors are likely to have considered in their recommendations of equivalent fuel requirements to be on the safe side, which was my actual argument) and hysterical howling about how terribly "dumb" my argument is. Obviously beside himself with anger (again, one wonders why, except because he senses his cage being rattled), Jansson refers to a mistaken assumption of mine back in May 2006, which Mattogno also made a rather puerile fuss about. The recommendation I gave Mattogno on account of this fuss ("Grow up, Charlie", see the blog Belzec Mass Graves and Archaeology: My Response to Carlo Mattogno (4,4)) is hereby extended to little Freddy Jansson. However, considering the "just for fun" baloney whereby he ends his rambling about sheep weights (a photo showing lambs and presumably also more grown-up sheep, followed by the remark "Oh, yes. Those must be 125 kg apiece. No doubt about it"), there seems to be little hope that Jansson will pass through a stage of maturity on his way from infancy to senility – if he has not reached the latter stage already. After thus showing once more what feeble minds proclaim the "Revisionist" faith, Jansson goes on to falsely claim a suggestion of mine that, in general "cremation taking place in order to “erase the evidence” does not require the same degree of destruction as cremation taking place for sanitary purposes in dealing with epidemics", to then produce the meaningless generalizing assertion that "“Erasing the evidence” requires much more thorough cremation than dealing with epidemics.". Emphases have been added to highlight the points conveniently ignored by Jansson that make up my actual argument (which was not about "erasing the evidence" in general (whatever Jansson means by that), but about the evidence destruction efforts made in the particular case of the Aktion Reinhard(t) camps). Muehlenkamp’s newer line of argument moves ever further away from empirical evidence, in favor of the following two imbecile contentions: (1) they didn’t really need to burn the carcasses very well in order to destroy the evidence, and (2) fuel demands were limited because of some vague analogy with “spontaneous human combustion”. b) the pig burning experiment reported by DeHaan and Nurbakhsh, mentioned in this blog, which Jansson has so far kept silent about if I remember correctly. As to my moving away from whatever "empirical evidence" he has in mind, Jansson seems to be slow on the uptake. Empirical evidence supporting my case for mass murder and mass cremation of those murdered there is plenty, so it’s not for me to provide empirical evidence supporting the physical/logistical possibility/practicability of what all known eyewitness, documentary, demographic and physical evidence proves to have happened. It is for Jansson, as the challenger of this evidence, to provide empirical evidence proving the physical/logistical impossibility/impracticability of the factual occurrences that run contrary to his ingrained beliefs. When will Jansson finally understand that? Following the above-quoted pearl, Jansson quotes an excerpt from the present blog, then stomps his feet and yells that "Muehlenkamp knows nothing about cremation" (italics are his; again, why so furious, Mr. Jansson?). This outburst is followed by another straw-man argument, in support of which he refers to two earlier blogs of his, this one and this one. Both blogs contain interesting images. And also what I would expect to be cremation results corresponding to the AUSVETPLAN’s idea of complete combustion. The second blog contains further pictures of cremated bone in crematoria, and also pictures of incomplete accidental burning, most if not all of which bring to mind eyewitness testimonies or rendering thereof about the results of cremation at Treblinka, namely those mentioned in this blog series’ first installment (skeletons and scattered bones on the rosters mentioned by Arad, body parts that "had burned but had preserved their natural shape", mentioned by Leleko), as well as the larger remains mentioned in the Bełżec and Treblinka crime site investigation reports quoted here ("hands and arms, women’s hair, as well as human bones not totally burnt", "human hair, part of a human body, … and remnants of incompletely burnt bones", "a human skull with remnants of skin and hair, as well as two shinbones and a rib", "human bones, such as jawbones and shinbones", "skulls, parts of skulls, vertebrae, ribs, collarbones, shoulder blades, arm bones, lower legs, wrists, fingers, pelvic bones, thigh bones, lower legs, and foot bones", "two forearms and a lumbar portion of the backbone with some soft tissue and traces of carbonization", various bones allowing to "conclude that they belong to persons of different age groups, from two-year-olds up to very old people, as borne out by toothless jaws and numerous dentures", one partially burnt jawbone "containing milk teeth as well as incipient permanent teeth, which indicates that it belongs to a person 7 to 8 years of age", "shapeless portions of soft tissue from human bodies", "two lower legs belonging to a two-year-old child", "partly decomposed, partly mummified", "small soft tissue parts of human bodies that are in the ash and not completely carbonized", "huge amounts of scattered human bones, skulls, vertebrae, ribs, shinbones, jawbones, tooth implants made of rubber, hair (mainly female and often braided), furthermore pieces of decomposed human flesh like hands and lower limbs of little children", numerous "human remains … partially still in a state of decomposition", "countless human bones, often still covered with tissue remains, which are in a condition of decomposition", "human skulls"). I don’t think any crematorium worth its prices would leave behind remains like these, and I would also be surprised if the AUSVETPLAN considered complete combustion to have been achieved if whole skeletons, skulls, limbs and larger bones of carcasses were left when a pyre has burnt out, or if the remains after cremation is over looked like those shown in this video, in which the carcass seems to be nevertheless destroyed to such an extent that some subsequent laborious crushing could reduce it to something that someone might colloquially refer to as "ash" (no, not to ash in the literal sense of the word). As for Muehlenkamp’s contention that fuel requirements in the Reinhardt cremations were less because parts of the remains were incompletely cremated and had to be put on the next pyre, this is a simple logical error. The fuel requirements of one pyre are decreased if it’s allowed to leave uncremated remains, but if the next pyre is required to dispose of those remains in addition to its normal carcass loading then the fuel requirements of that latter pyre are increased, so things even out. Actually the logical error is on Jansson’s side, if one considers that the subsequent pyre, while reducing the previous pyre’s leftovers deemed too large to submit them to a crushing procedure right away, would in turn leave such large remains incompletely cremated (or not cremated at all). And so pyre after pyre, with presumably ever larger amounts of incompletely cremated remains, until at the end of the operation the incompletely burned remains were simply tossed back into the mass graves along with the more complete products of burning and subsequent crushing/grinding, thus leading to the finds of apparently considerable amounts of larger remains reported by crime site investigators. Jansson ends yet another of his poor shows with the theatrical challenge that I reiterate my arguments regarding Lothes & Profé. Fine with me, the arguments are stated i.a. here, except for the consideration that reduction of fuel requirements by one third due to economies of scale would mean a fuel to body mass ratio of about 0.37:1 instead of 0.56:1, close to the ratio apparently considered possible (though not implemented in practice) by Mr. Agarwal, and perhaps (considering the low amounts of solid fuel underneath the grates and Jansson’s hollering against the comparatively modest amounts of gasoline I calculated in this respect) what was achieved on the Dresden Altmarkt pyres. Before this furious final bang on the table, Jansson produces the amusing argument that the proper place to begin "when considering these economies of scale" would be those wood-wasting Indian funeral pyres. But wait, I’m anticipating the third installment of this series, which I hope will make old Jansson freak out just like the present 2nd installment. Not that it would make another of my days (I have better entertainments for that, apparently unlike "Nothing would please me more" Jansson), but it would be some more fun. Try to calm down, Mr. Jansson. After all we’re not talking about the end of the world here. We are talking about just one part of just one of the many mass atrocities in human history, one that accounted for just a fraction of deaths from mass violence in the 20th Century, for a much smaller fraction of overall human suffering and death in that century (man-made or otherwise), and for an even much smaller fraction of human death and suffering throughout history (see this blog for details). And as pointed out at the beginning of this series’ first installment, you have no case against it and are reduced to dreary, pointless and not even necessarily pertinent error nitpicking exercises. So why (except because you are a White Supremacist or "White Nationalist", a fervent admirer of Nazi Germany, a hater of Jews or a combination or one or more of these) don’t you just accept it as fact and move on?